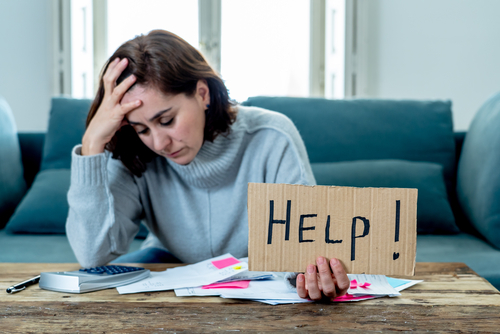 Medical debt is one of the financial struggles that Americans face. Among the other types of debt, this is the one that you cannot skip just because you do not have the money to pay for it. Whether it is a simple accident or a life-threatening disease, this is an expense that you need to pay for. This is probably why a lot of people do not think twice about borrowing money to pay for medical expenses. According to one survey, 79 million people are struggling to pay for their medical bills. 7 million of these individuals are elderly adults. Among all of them, retirees are the ones who have it bad. After all, they are no longer working. So their medical debt will most likely eat up a portion of their retirement fund. What you have to remember is that medical problems have a lasting effect on your finances. It can even ripple out to your long-term goals as it has a prohibitive effect as well. At the end of the day, you need to manage your medical payments so it does not get in the way of your plans. The good news is, paying medical debt is not as straightforward as other forms of debt. This is because there is usually a lot of room for payment negotiations. This is an advantage when faced with big payment amounts. There are even times where you can reduce your medical payment. No one wants to end up with an unmanageable debt of any kind that is why it is important to get ahead of it. Here are a few things to consider to help you manage medical debt better. Did you know that almost half of US adults have some form of cardiovascular disease? The common sign is high blood pressure – which is known to lead to either heart attack, stroke, or even heart failure. This is the reason why you need to take affirmative action towards managing your health. Living a healthier lifestyle will only do you good. It will not just help you live longer and a better lifestyle. It will also impact your medical needs in the future. If you do not take care of your body now, you will feel it when you get older. But if you make a commitment to take care of yourself now, it will help keep the ailments away – or at least, delay it. So what can you do to live a healthier lifestyle? One thing is for sure – it should not be a fad. It is a lifestyle you need to embrace to see real change. Once you do that, you will start to realize that you do not have to subject yourself to fads that promise quick results. You can take your time in understanding your body type, what your goal is, and how you can get there safely. This is because the healthier you are, the lower the chances of getting into unexpected medical situations. Never ignore debt. This is one issue that will not go away on its own. If you have medical debt, you have to do something about it. Some might argue that unlike mortgage and car payments, the medical industry cannot take back your good health for non-payment. However, it can taint your credit report. That can affect financial opportunities in the future – which can hinder you from reaching important financial goals. One of the important documents you will get is an Explanation of Benefits or EOB. This comes from your insurance company outlining what they paid for your medical need on your behalf. Do not think that this is the amount you need to pay. You will have a difficult time managing your medical debt if you pay the wrong amount. Once you get your EOB, your medical bill usually next to arrive. As soon as you receive your medical bill, review it. Scrutinize every detail and make sure these are medical treatments and services given to you. If not, you need to dispute it. You might be surprised by how often mistakes appear in medical bills. The debt is bad enough – you do not want to make it worse by paying for something that you did not receive. Do not let yourself be pushed deeper into debt by a mistake in the billing. If you know that your medical debt is too high, do not be ashamed to negotiate to make it lower. Medical professionals go through it more times than you know. If you are being charged a ridiculously high amount for something so small, you can negotiate that. Having a knowledge of how much bandages and other medical supplies really cost will be helpful here. Even the professional fees of doctors can be negotiated. Just make sure to be polite and honest about why you are negotiating. Tell them that you want to pay them back but the high cost if too much for you. Once you have gone through all the tips that will help manage medical debt, there is one more thing that is left to do – pay it back. Fortunately for you, there are many options for you to do this. Before you make a choice, you have to consider your financial situation. How much can you honestly afford? You need to have a firm understanding of your debt payment capabilities. That will help you make the right choice when it comes to your medical debt repayment plan. To start with, you can directly go to your medical providers to negotiate a repayment plan that you can afford. Whether it is the hospital, physician, or any other medical facility – do not be ashamed to talk to them and ask for an affordable repayment plan. You might be surprised that they are more than willing to work with you on this. After all, the alternative is you not being able to pay off what you owe. They would probably accept a lower monthly payment as long as you can pay off what is due to them. Another option for you, although this might be a bit controversial, is using medical credit cards. According to reports, 20% of Millennials use their credit cards for an emergency situation – including medical bills. If you really have no choice about it, you can opt to pay your dues using your card – but make sure that you have a repayment plan in place. These cards are notorious for having one of the highest interest rates. But if you wish to consolidate your debts, then use your card – but pay off the balance as soon as possible. Finally, you can opt to use unsecured credit options. If you have big medical bills, you can probably get a low-interest personal loan to pay it off. Make sure the loan you will get has a low monthly payment plan so it will not be too much of a burden on your budget. This loan will allow you to consolidate the various bills that make up your medical debt. It should be easier for you to monitor your payments and avoid being late on a due date. If you have a good credit score, this option can really work in your favor.